Don't waste your time with cheap cables! Shifting performance is best when installed correctly with the best quality cables. Jagwire's premium-quality derailleur cables comes in Teflon-Coated, Stainless or Galvanized options. Choose the option that matches your components. All cable are 3100mm long. Galvanized (zinc coated) for best value, Stainless for best longevity and general use, Rust-Proof Teflon for maximum shifting performance. This thing should have it’s own video series. Seriously, it does the job as you would expect it should. This cable is the smoothest thing ever. Very easy to install. Bought the stainless versions for my road tandems and will continue to do so as these are really nice and smooth. 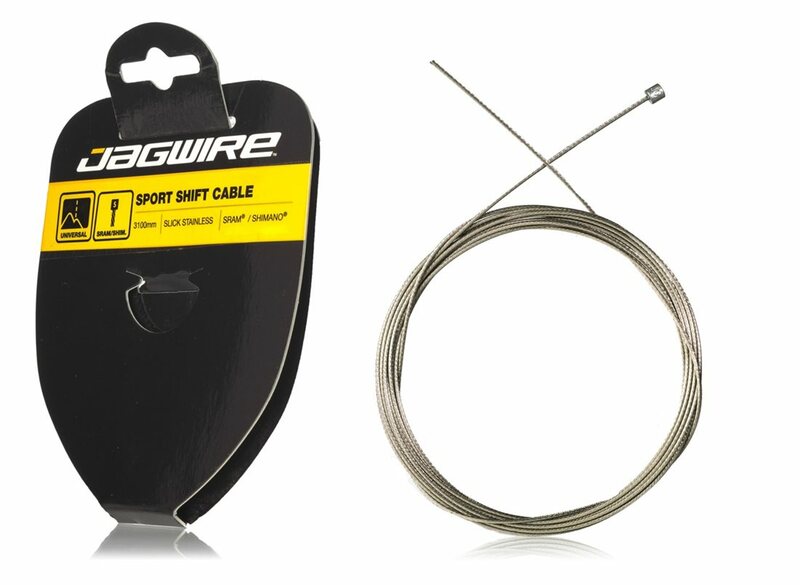 So glad Jagwire supports our cycling segment with high quality and easily accessible parts. And thanks to Jenson for carrying them. Not the best but adequate. 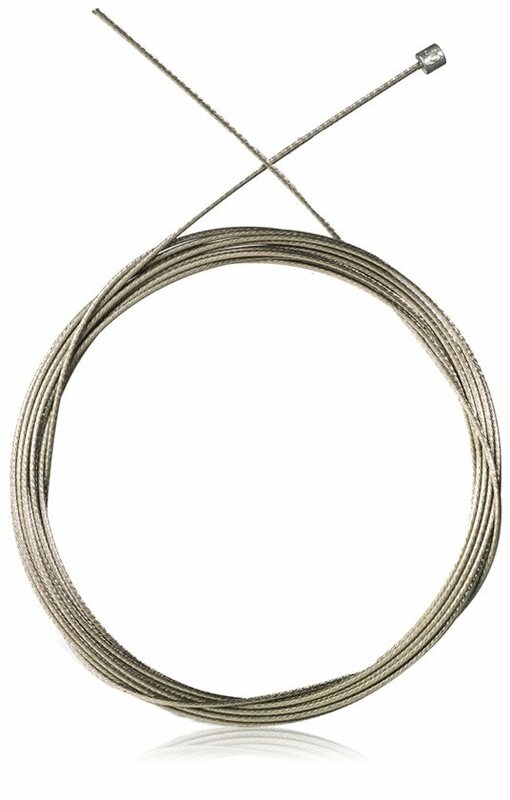 It is stainless steel, so I would buy nothing lower than this cable. But it is all you need for say a 7 speed bike or lower. Are there two cables in this kit, which would allow me to replace both front and rear? BEST ANSWER: No, there is only one cable in this kit. However, with 3,100 mm in length and double ends, you should be able to replace both front and rear derailleur cables, if it's for a road or mountain bike. It would not be enough to replace both front and rear cables for a tandem bike. It's 1(one) single inner cable/wire. CUT the the end off you DON'T need. Everything you need to replace front and rear derailleur cables and housing as well as front and rear brake cables and housing . Yes. There is a longer rear cable and a front. I ride XL full suspension 29ers and have more than enough to get rear set.